A quick view of the most influential metrics in Boca Raton Homes For Sale. Hello and welcome to our Boca Raton Homes for Sale page! Please hit that READ MORE button below because we have a ton of content for you about Boca Raton! Of all of the pages of my web site except for my blog, you will probably find the most content to read about what is going on in the South Florida marketplace. Please think of me as your favorite real estate agent in Boca Raton. Actually you very well may see some of my many videos that describe me as your favorite Boca Raton Real Estate agent but I think you will find the web site very informative, we just have to get you to the right articles for you. Below is a list of articles and blogs and press releases that I have created for Boca Raton. 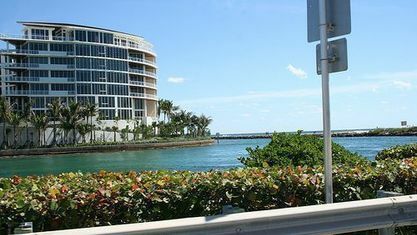 I personally live out West in western Boca Raton so you will see many articles about Mission Bay and the many areas near Mission Bay and West Boca Raton. Homes for Sale in Mission Bay West BocaRaton the week of 9-1-14 - As I mentioned I do write a lot about the community I live in. Here is an update as of 9-1-14. Seven ways to Avoid Problems when you are Purchasing your next Boca Raton Home - These are helpful hints for homebuyers that apply to virtually any area you are searching in. Eight Low Cost Staging Strategies for your Mission Bay Home - I love Mission Bay! These are eight different variations on how you can show the same home. Mission Bay Homes for sale as of 9-1-14 - Video - In this video your favorite Boca Raton Real Estate agent does his monthly walk of one of his favorite communities. Five Good Reasons to invest in West Boca Raton Real Estate - When I am consulting you I will give you my opinions on what is smart to purchase or what may be a money pit. The West Boca Raton market is a strong market and you will need to be prepared to act decisively. This is good reading if you are a first time home buyer or maybe you haven't gone through the mortgage process in a while. A lot has changed since the meltdown of 2007-2008. The mortgage process is a little more elaborate but the good news is, the housing market in South Florida- especially Boca Raton and West Boca Raton is doing quite well. Just for fun here are some more interesting facts about Boca Raton from Wikipedia. Boca Raton (pron. : /ˈboʊkə rəˈtoʊn/) is a city in Palm Beach County, Florida, USA, incorporated in May 1925. In the 2000 census, the city had a total population of 74,764; the 2006 population estimated by the U.S. Census Bureau was 86,396. The Census 2010 count dropped 2,004 residents to 84,392. However, the majority of people with a Boca Raton postal address—about 200,000—do not actually reside within Boca Raton's municipal boundaries. As a business center, the city's daytime population increases significantly. In terms of both population and land area, Boca Raton is the largest city between West Palm Beach and Pompano Beach, Broward County. 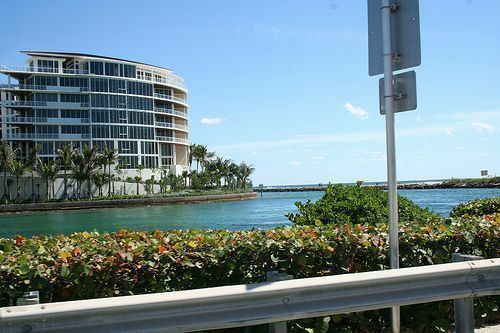 View our selection of available properties in the Boca Raton Homes For Sale area. Check out the latest demographic information available for Boca Raton Homes For Sale. Get to know Boca Raton Homes For Sale better with our featured images and videos. Learn more about schools near Boca Raton Homes For Sale complete with ratings and contact information. Browse through the top rated businesses in the most popular categories Boca Raton Homes For Sale has to offer.